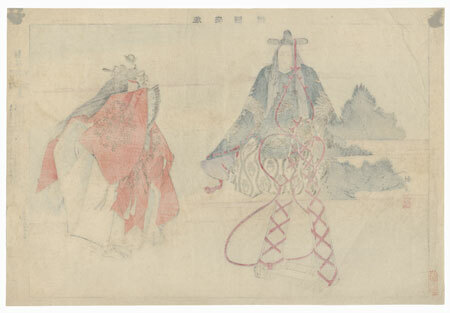 Kogyo's Pictures of Noh Plays - One of Kogyo's most important series, "Pictures of Noh" (Nogaku zue) was released in five volumes between 1897 and 1902. 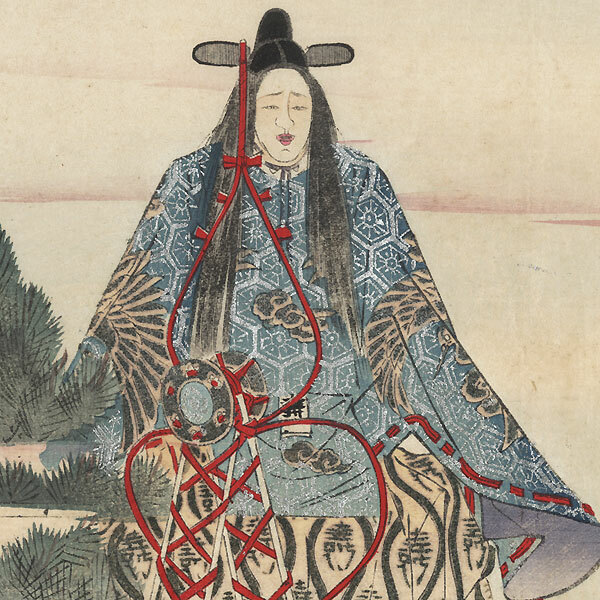 This wonderful series depicts famous Noh and kyogen plays. Beautifully drawn with fine detail in the fabrics and facial expressions, this series faithfully brings these memorable performances to life. Kogyo's incredible attention to detail wonderfully captures the sumptuous costume fabrics, hand-carved masks, and intricately crafted props. Many of these striking prints include deluxe embellishments, such as shimmering mica, embossed textures, and soft shading. Their spare, almost Zen design, is quintessentially Japanese. 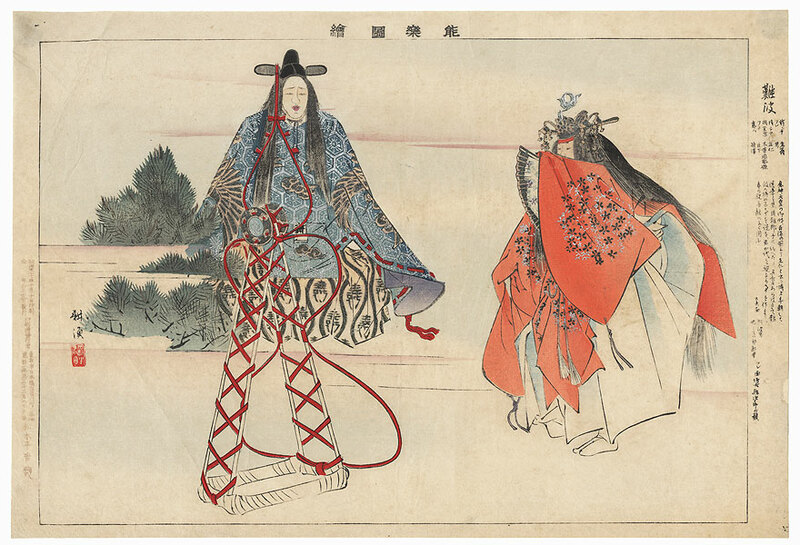 A terrific choice for a collector interested in this traditional form of Japanese theater. Condition - This print with excellent color and detail as shown. Slight paper remnants on reverse at top corners from previous mounting. Small loss at edge, hole, repaired. Slight toning, creasing, and soiling. Please see photos for details.